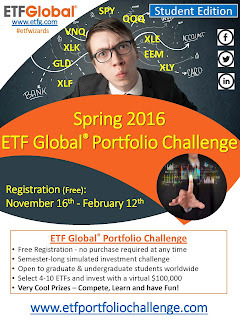 Since our last update, the Spring 2016 ETF Global Portfolio Challenge has added hundreds of students from over 100 great schools and now spans six continents - we're not sure if Antartica has any universities, so it may be a tough nut to crack! Registration closes this Friday, February 12th at 4:00 pm ET. The performance period will commence on Tuesday, February 16th at the market's open. 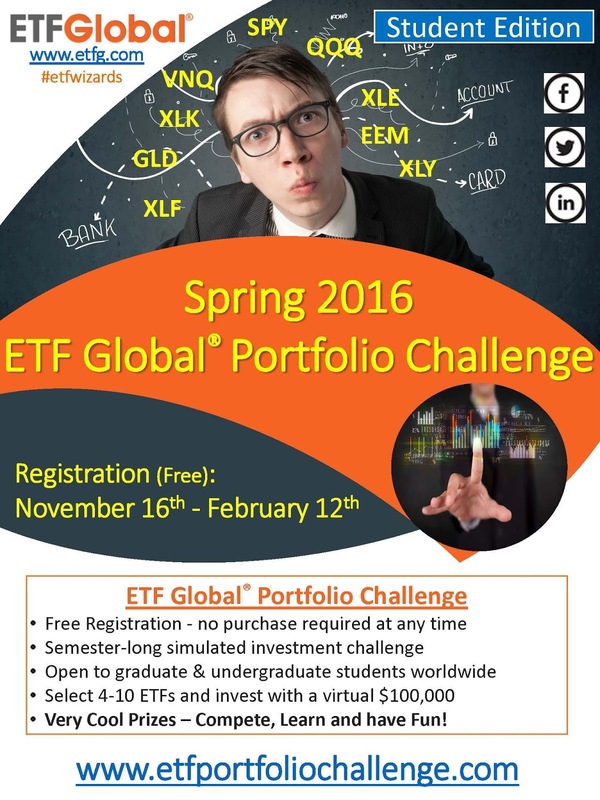 We encourage all Undergraduate and Graduate students to take advantage of this unique virtual opportunity to begin learning how to invest with ETFs before they go on to make their own decisions in the real marketplace.